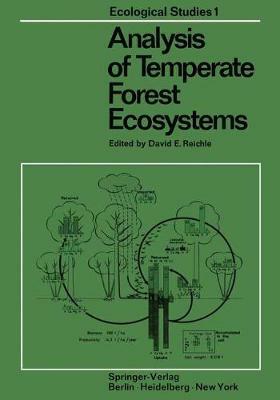 A series of concise books, each by one or several authors, will provide prompt, world-wide information on approaches to analyzing ecological systems and their interacting parts. Syntheses of results in turn will illustrate the effectiveness, and the limitations, of current knowledge. This series aims to help overcome the fragmen- tation of our understanding about natural and managed landscapes and water- about man and the many other organisms which depend on these environments. We may sometimes seem complacent that our environment has supported many civilizations fairly well - better in some parts of the Earth than in others. Modern technology has mastered some difficulties but creates new ones faster than we anticipate. Pressures of human and other animal populations now highlight complex ecological problems of practical importance and theoretical scientific interest. In every climatic-biotic zone, changes in plants, soils, waters, air and other resources which support life are accelerating. Such changes engulf not only regions already crowded or exploited. They spill over into more natural areas where contrasting choices for future use should remain open to our descendents-where Nature's own balances and imbalances can be interpreted by imaginative research, and need to be.